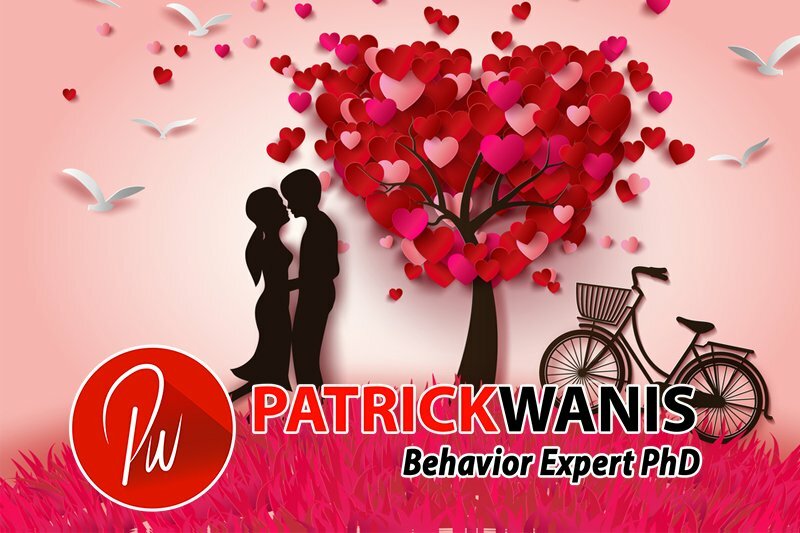 Jan 9, 2013 /1 Comment/in Success Newsletters /by Patrick Wanis Ph.D. There are over 50 flirting behaviors and signals – non-verbal communication – body language. Read my article where I also reveal that there is one major misconception sold by even some of the experts – that a woman can only successfully flirt when she is being submissive. Read more here. Now, let’s talk about what love is. Foreigner became famous for their number 1 hit song “I Want to Know What Love Is” in 1984 and Winona Judd had a hit with it in 2004 and then Mariah Carey also had a hit with her version in 2009. The song is powerful and emotional, and resonates with people because it sums up in such simple words our common human desire and yearning to experience love – to feel it, to bathe in it, to be enveloped by it, clinging to the hope that we can be rescued by it and that someone can transform us by loving us. Further, the song also encompasses our common search for a definition and understanding of love. But is there a simpler definition of love? Many clients express to me confusion and pain about love whereby they simply cannot define love. This confusion is primarily due to negative experiences as children, with poor examples by parents or abuse or trauma. Accordingly, these people often struggle as the result of what I call “Twisted Love” – a warped definition of love created by negative experiences. It is Twisted Love” that leads people to enter into adult relationships that are either abusive or where their needs are not being met. In some cases, the adult is repeating the example set by his/her parents and/or he/she is repeating the dynamic of the relationship between the child and parent. Children need food, water, shelter and physical love and affection along with the host of other mental and emotional needs – validation, recognition, praise, support, significance, encouragement of free expression, belonging, stability, security, safety, bonding, attention, guidance, and so forth. However, for a child, attention often equals love. Negative attention, positive attention or even abuse is perceived, processed and programmed by the child as love. Accordingly, in an adult relationship, Twisted Love can never be satisfying or fulfilling since most people are expressing or acting out ‘love’ from a place of pain or a twisted definition of love. However, the above quote is more of a partial description than a definition of love. Accordingly, I define love as simply wanting the best for the other person. This basic but powerful definition fits every category of relationship – personal, social, romantic, sibling, parental and so forth. For example, a parent who loves his child by wanting the best for that child, does so by giving the child all that he or she needs to realize his or her full potential. Wanting the best for the other person, does not, of course, imply that you forego or ignore your needs or happiness by putting the other person first at your own peril such as ‘loving’ the other person and letting them be abusive or entirely selfish. The complete definition of love (wanting the best for the other person) also encompasses balance – self-love. Of course, when we feel loved and when someone triggers the good in us and helps us to see and appreciate our own beauty, then we feel an overwhelming sense of joy, elation, significance, security, optimism, excitement for life and so forth. But I teach and believe that our deepest hidden desire is to express love. And only when we feel good about ourselves (we like, accept, forgive ourselves, believe in our self-worth and deservedness) and we understand ourselves and our emotions, are we then able to express love without the addictive condition and expectation that the other person must love us back in the exact way we want or that they must make us happy – freeing us of our pain (guilt, shame, blame), insecurity or self-doubt. I sincerely believe that you know when you love someone because you focus more on expressing love to the other person and less on him/her meeting your expectations. Finally, I was recently on the TV show The Daily Buzz discussing unconditional love and I explained that in the same manner as you ask that your partner, friend or family member to love you unconditionally, ask yourself, too, whether or not, you love them unconditionally. Unconditional love is a beautiful and poetic ideal – and because we are humans and thus imperfect, it is not truly possible to express unconditional love all the time. However, we can feel moments of unconditional love and we can express unconditional love as we set out to want and desire the best for the other person. Also read my article “The challenge of unconditional love” and “Passionate or Companionate Love?”.